Russia’s Sukhoi Civil Aircraft Company (SCAC), manufacturer of the Superjet 100 (SSJ100) series of regional jets, has suggested significant improvements to the Mexican airline Interjet’s fleet of SSJ100s, proposing enhanced operational efficiencies of the existing aircraft and those planned for delivery, by equipping them with winglets and increasing their passenger capacity to more than 100 seats. 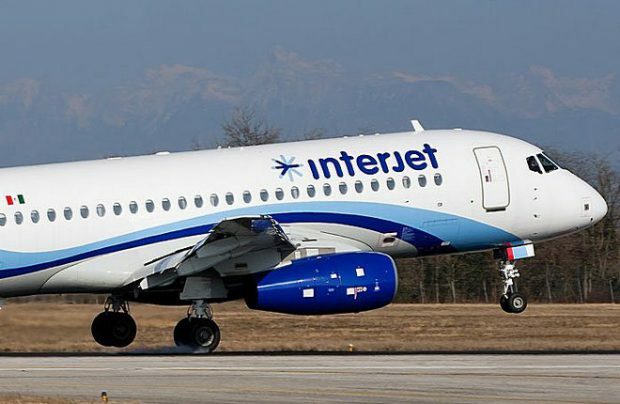 The new plans were made public at a media event in Moscow, which came as a reaction to a recent report made available by Interjet, its largest customer outside Russia. That report outlined the Mexican airline’s concerns and challenges regarding its fleet of the Russian-made aircraft, following the launch of negotiations with SCAC regarding the future of its outstanding order for eight more of the type. In particular, the operator complained it was experiencing difficulties with the aircraft’s aftersales support, a factor which has contributed to only half of its fleet being airworthy. In response, Sukhoi has suggested an upgrade of the performance capabilities of the fleet currently in operation – and those on order – with each aircraft, where possible, being equipped with blended winglets (‘sabrelets’), and an increase in capacity from 93 to more than 100 seats. “Therefore, together with the airline, having analysed the current situation on the Mexican market, we have suggested improvements to the operational efficiency of the fleet it has and is planned for delivery. We have proposed to equip those aircraft which can be retrofitted with winglets and increase their capacity from 93 to over 100 seats. Our Mexican partner has expressed interest in this proposal. We are now discussing when and how to upgrade the existing fleet to make it better suited for market demands,” Rubtsov adds. As a part of new three-year strategic growth plan through 2021, which Interjet announced recently, the Mexican airline will be phasing out some of its SSJ100s. Interjet currently has 22 of the Russian-built jets, all of which were delivered before mid-2016 and the delivery of eight additional aircraft is pending. As of mid-September, just 12 of Interjet’s SSJ100s are operational.